This spring we are expecting to see a slow rise in the number of listings and a very competitive buying environment. Auction clearance rates are still over 75% and I feel they will stay that way during spring. The question is, what will happen to the market in 12 months time? What a year it’s been so far! The Sydney housing market has been the stand-out performer nationally with median house prices rising 16.3% over the 2013-14 financial year. Sydney’s median house price is now $800,000 and median unit price $586,000. The question on everyone’s lips is how long will it continue? The strong surge in demand for housing has been driven by low interest rates attracting more investors and home buyers to upgrade. 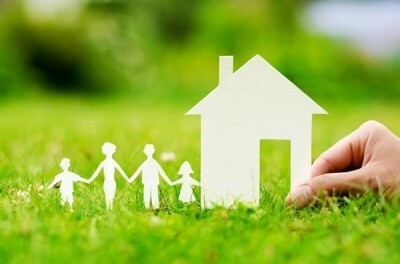 First home buyers are still scarce, while the middle tier of the market has performed strongly. The prestige market is showing signs of further growth but has yet to really fire up. The prediction for interest rates is fairly flat as indicated by the 5 year fixed rates currently on offer by the major banks at 4.99% pa. The Sydney property market is one of the strongest I have seen since the last big boom in late 2003. There is extremely strong demand across all price ranges and property types up to around $2.5m. In Western Sydney it is not unusual to see a property sold within the first week of listing. It’s a similar scenario for properties in the Inner West, Northern Beaches, North Shore and Eastern suburbs where competition amongst both investors and home buyers is driving prices forward. Some auction campaigns have been shortened to 3 weeks to bring forward buyers. The “changeover” market for homes is hotly contested as buyers seek to secure a property quickly after their own sale. The challenge for many is whether to buy before selling or to sell before buying. We are regularly seeing properties go above reasonable value at auction, so we aim to buy prior to auction or private treaty wherever possible. We are also getting access to some excellent off market properties in this market. Overseas expats and foreign buyers have also been making more inquiries about our buyers’ agent service to help them navigate the tougher conditions in this market. Sales agents are reporting a low level of stock coming on the market. Spring traditionally sees a rise in the number of listings after the quieter winter months. We expect to see more vendors taking advantage of the current conditions and listing this Spring but their challenge will be to find another home that fits both their budget and lifestyle within a shorter time frame. Houses are only on the market for an average of 29 days according to RP data. So where is the market heading for the rest of Spring and into next year? APM are predicting a 7% increase in prices in the overall Sydney market over the next 12 months. They suggest that the market up to $750k will rise 8%, from $750k to $2m will rise 6% and the prestige market over $2m will rise 5%. (For are predictions see map below). So in summary we are still in an upward trajectory. You need to take a broader view of the market and consider where you want to live long term to future proof your needs. Many of the fringe suburbs that were considered unfashionable have become popular and trendy. Buyers in this market need to do their research thoroughly – it is a market that can be very easy to pay over the odds, so stick to your budget. Have your solicitor/conveyancer on standby and get your finances organised so you can pounce quickly. It’s hard to pick the perfect time to buy and you need to take a medium to long term view with all property decisions. If you would like to gain the upper hand in the buying process, or you’re too busy, lack confidence, or just tired of dealing with real estate agents and missing out, engage a buyers' agent to help! "We found the process to be very easy"
We just wanted to say a big thank you for all of your help and expertise in securing our new home in Turramurra. We found the process to be very easy and we are very pleased with the result. We certainly wouldn’t hesitate to use your services again with any future property purchases. Thanks again! Megan and David were seeking a family home in the North Shore within a 45 minute commute to Chatswood. Of particular important was privacy and a bush outlook. After a couple of weeks I located a 4 bedroom home in Turramurra with a pool and very private set in bush surrounds. We managed to secure the property prior to auction but it was a very close contest. After having our offer accepted another buyer submitted an offer in writing at a level of $45,000 over ours. However, they were not in a position to exchange until the following day. I had arranged to do the exchange with the vendor’s solicitor at his office that evening and the timing was critical. I spoke to the vendors and of particular importance to them was an extended settlement, so fortunately they decided to exchange at the previously agreed price and not risk losing us, despite it being at a much lower level. "I am looking forward o taking on another one..."
Propertybuyer provided a logical approach and developed a strategy with our end goal in mind. I feel positive about the development I am entering into and I’m looking forward to taking on another one. From an ROI point of view, it makes sense. I go to a doctor to cure my illness and I go to propertybuyer to find my property. Brad & Alicia had a 3 year plan to move to the area of their liking while building a portfolio at the same time. We were able to structure enough equity to gain a duplex and by strata titling, allowed the project to move forward with the next property in their portfolio while allocating some equity to their dream home.